One thing I look forward to...every single evening...A GOOD HOT BATH! 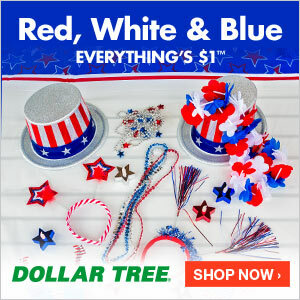 All products for this feature were sent free of charge by the company. I was not offered any monetary compensation by posting my honest opinion about these products. I know...I know...some people are into showers more than baths. But there is something so calming and soothing for me, when it comes to a dark room, some candle light, very warm bubbly water and peace. ADMIT IT...it sounds divine, right? One of the things I MUST HAVE when it comes to bath time, is body washes that smell good and can offer more than just cleaning power. 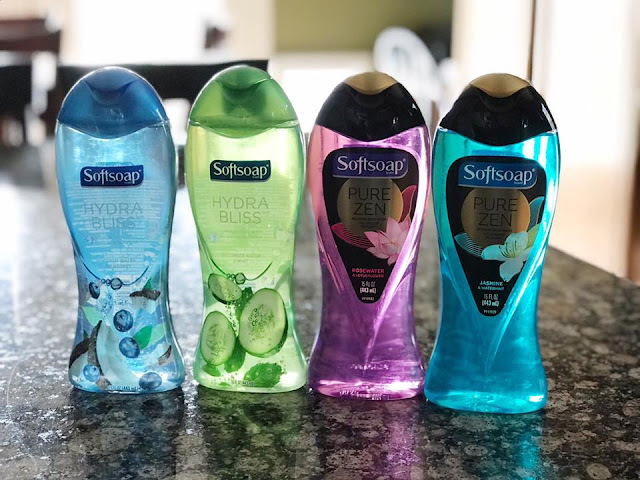 SoftSoap never fails to amaze me with all the new scents and product lines they come out with. They sent me a few to try out myself...and heaven knows with eight bodies in the house, these bottles won't last long. 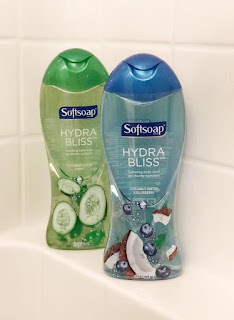 Check out new SOFTSOAP HYDRA BLISS Hydrating Body Washes. We received both scents of this new hydrating experience. These formula's are created to help your body retain it's natural moisture. I love everything cucumber scented, so the CUCUMBER WATER & MINT scent is my favorite of the two. The Coconut Water & Blueberry is still very refreshing and light. Both of these definitely leave your body feeling soft, smooth and hydrated. 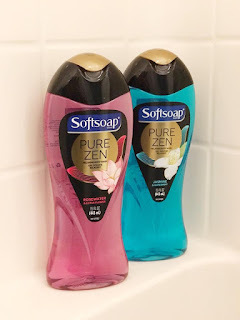 We also got to try the SOFTSOAP PURE ZEN Relaxing Body Washes. Now these are what I started out this blog...talking about. Scents that will make me put my head back in the bathtub and relax. As you lather and clean, the scents will help you unwind, breathe and relax. LOVE IT!! My favorite of the two is the Jasmine & Watermint (with notes of vanilla and fig)...but the Rosewater & Lotus Flower (with hints of gardenia & jasmine) is nice too. I'm just not a huge fan of rose scented anything. ALL OF THESE NEW SOFTSOAP products are available at retail, drug and grocery stores around the nation. CLICK HERE to see what else SOFTSOAP is up to!